News and Media is where you will find blogs about trending legal matters in the Australian media. 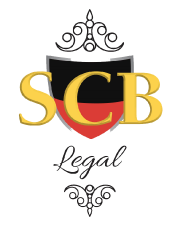 When you subscribe to our Law Blog, you will also receive FREE legal advice from SCB Legal‘s dedicated lawyers. We welcome your suggestions, so if there’s an area of the law that you would like to read about, please send us an email. The SCB Legal team of lawyers is committed to demystifying the law, by removing the legal jargon and expressing complex laws and bills in an easy to understand manner. Would you like to peruse the first ever Legal glossary in plain English? Our law dictionary will help you better understand many of the Australian legal terms. Some other types of media include audio visual, via our VBlog and a selection of articles about SCB Legal that have appeared in the media. Check back in as we’re regularly updating the news and media page.